UFC127 Penn vs Fitch is taking place this Saturday at Acer Arena in Sydney Australia. Many of these fights are set-up fights with an opportunity for the winners to fight for the championship belt in their weight class. There are some really good match-ups for UFC127, and there should be some exciting fights. Let’s get right down to the UFC127 main event previews. BJ Penn is coming off a first round knockout of Matt Hughes. The fight ended so quickly, BJ was never really challenged. Penn has had a past history of not always preparing well for his fights, and has been questioned about his real motivation. Recently he has seen a resurgence in his work ethic, and a drive to be the best ever. He is best known for good standup, as he is a good boxer with a very respectable jab. He also has good kicks and knees when you try to get him in a clinch. His nickname “The Prodigy” stems from the fact that it only took him 3 years to obtain his black belt in Brazilian Jiu-Jitsu, when the average time it takes is 10 years or more. If Penn gets you down, he has deft submission skills and can also ground and pound with the best of them. He also has a very strong chin, and is incredibly flexible and agile. Because of his flexibility, he is not easy to take down, and usually has good stamina to last the entire fight. 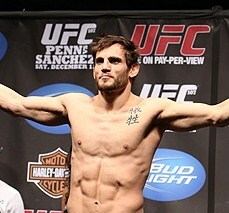 Jon Fitch is a wrestler, and was a very successful college wrestler at Purdue University. He is coming off 5 consecutive victories since losing to Georges St-Pierre in the Octagon, and is looking for his title shot. Fitch has basically dedicated his entire life to MMA fighting, and it has served him well. Because of his amazing work ethic, he typically outlasts his opponents over the course of 3 rounds, and will grind you down physically and mentally. Fitch doesn’t necessarily possess striking power, and has not had a lot of wins by submission. Although Fitch is taller and will have a reach advantage, he will try to tear BJ down and out smart him, but that won’t be easy. It would benefit Fitch if he could finish this fight instead of trying to win by way of another decision. Michael Bisping has won two fights in a row by decision after losing a hard-fought match against Wanderlei Silva. He has been training in martial arts since the age of 8, but really started taking it seriously in 2003. Bisping always seems to look smaller than his opponent in the Octagon, but has been very successful with his excellent footwork, kicks, and overall fitness. He has finished many of his opponents, and his favorite striking technique is the flying knee. He is very good at moving around the octagon and avoiding strikes, and this will serve him well against Rivera. He needs to avoid the early attack by Rivera with lots of jabs, and try to start picking him apart later in the fight. Although not an accomplished wrestler, if Bisping can take Rivera down, it will be the best defense against Rivera’s striking power. Jorge Rivera is a standup fighter who packs some power in his punch. He has won 3 fights in a row, and is coming off an impressive second round knock out of Nate Quarry. Rivera will be the aggressor, and will stalk Bisping all around the ring. With his aggressive style, Rivera is susceptible to getting hit with a knockout punch himself. He also does not have great defense off his back, and if he gets on the ground, he could be submitted. Rivera is 38, and he has not had a fight in the octagon in almost a year. His fights typically don’t last the distance, which more often than not, make for an exciting and entertaining battle. Mr. Sotiropoulos has won his las 8 UFC fights in a row, and is also looking for his shot at the lightweight title. 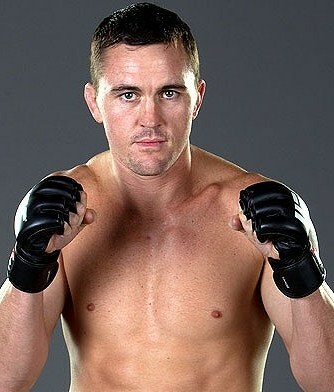 He is a Brazilian Jiu-Jitsu black belt, and is considered the number one Australian fighter in the world. He is not the most effective striker, and does not possess knockout power, but he is great at submitting his opponents. He will have a significant height advantage which will help his already excellent striking defense. He is a good grappler, and like most lightweights, has the stamina to go all out for the entire 3 rounds if necessary. George will have some extra motivation fighting in his home country. 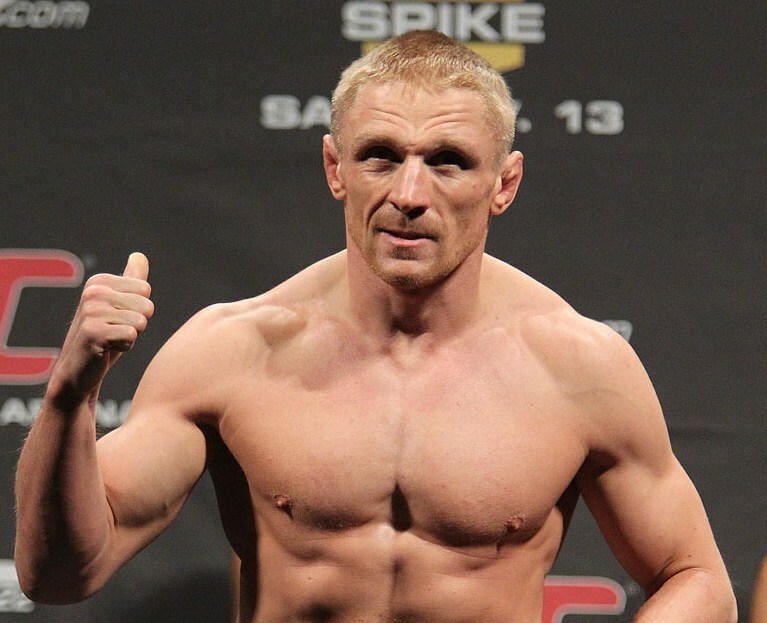 Dennis Siver is a short, stalky powerhouse. He possesses knockout power in both hands, as well as his legs. His signature move is the spinning back kick. He has won 5 of his last 6 UFC bouts, and is looking to showcase his talents to move up in the UFC rankings as a top 10 contender. This is a big opportunity for Dennis, and he will need to avoid a takedown by George Sotiropoulos at all costs. He will want to keep this match on his feet, and will look for a big blow by his hands or legs to secure the win. Siver needs to be more effective with his grappling and takedown defense in this fight, and in order to become one of the best in his weight class. Most of his fights do not go the distance just like Jorge Rivera, so look for either a knockout or submission in this one. Chris Lytle has won his last 4 UFC fights. He has knocked on the door of title contention several times, but has not been able to break it down. Chris is a well-rounded fighter who does a lot of things good, but isn’t necessarily great at anything. He mainly is a standup fighter, who can knock you out with his heavy hands. If he does get you down, he has the ability to choke you out as well. Although Chris also has lots of experience, he could still work on his striking and takedown defense. One thing about Chris is he will not give up, no matter what. Brian Ebersole is a last-minute replacement for Carlos Condit. He began as a wrestler at a very young age, and wrestled at the Division 1 level in college. He then began training in kickboxing and has a great deal of experience in the cage, although this will be his first UFC fight. He is an unorthodox fighter, and don’t be surprised if you see him throw out his favorite cartwheel kick. He is looking for his moment to shine in this fight, and an opportunity to take his talents to the next level. His best opportunity to win would probably be to try and take Lytle down. Just watch out for the submission attempts by Lytle if he does end up on his back. Kyle has won his last two UFC fights, and has looked very convincing in his wins so far. 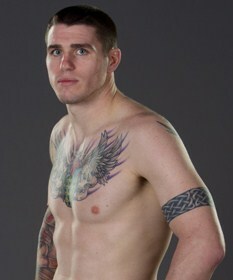 He has been training in MMA for 8 years, and is looking to work his way up the rankings with a big win against Chris. Kyle had his first fight after only four weeks of MMA training, and has been the Australian Middleweight and Welterweight champion. He has knockout power, and Chris will need to look out for his left hook during the fight. Being Australian, Kyle will have the hometown fans behind him just like George Sotiropoulos. Chris has won his last two UFC fights, is 24 years young, and is looking forward to the step up in competition. He has only been training in MMA for 5 years, but enjoys challenging himself to become better. Chris was a wrestler in high school, has trained in Muay Thai, and is a purple belt in Brazilian Jiu-Jitsu. Chris and Kyle would both probably prefer to stay on their feet in this fight. If that ends up where the fight takes place, Chris should be able to us his legs to his advantage, and Kyle needs to look out for Chris’ knee strikes. ~ by Troy Erickson Realtor on February 24, 2011.